Our Saturday one-day sides continued their great seasons on Saturday, with all four picking up another win. Our 5th Grade boys and our newcomers the C5s remain undefeated at the top of their respective ladders, and the D1 and D2 guys are now right in the mix. In the higher grades, we took on Merewether with 1sts, 3rds and 4ths all sent in on wet decks. Each of the sides fought back strongly to give themselves an even chance heading into the second week. 2nd Grade bowled first, and didn’t capitalise on the early friendly bowling conditions to leave themselves a big chase next week. 5th Grade were led by Rory Guy in Doc’s absence, and Rory (23*) didn’t disappoint, chasing down Newcastle City’s 146. Justin Steadman (39) continued his good run of form with the bat and Jason Kennewell (37) got amongst the runs in his first game for the club. Sam Guy was the pick of the bowlers with 3/19 from 7 overs. C5s set a good total of 213 batting first in their fixture against Maryland. There were contributions all the way through the innings, but Arif Hussain played the key role with 65 in the middle order. In reply, Maryland were bowled out for 139. Once again it was a good team performance from the guys, with Usman Asghar’s 2/19 off 7 overs the best figures. D1s bowled first, and to great effect, rolling Town Hall for 115. Michael Monroe (3/24) took some crucial wickets to help restrict Town Hall, before Michael Loehr put together a composed innings of 64* to lead the side in the chase. Our boys got to the target 2 wickets down and with 11 overs to spare. The D2’s took on ‘the Buds’ (Adamstown Bowling Club) to continue the growing rivalry. The Buds batted first with Blake Corbett’s rearguard of 41 pushing them up to a total of 169 after Adam Lowe (3/16) ripped through the middle order. In reply, our boys didn’t get off to a good start at 3/1 at the hands of big Sambo Crawley, but from there Brett Osmond (51) and Roger Laffrey (69*) combined for a an important partnership. Drew Varnum’s 38 ensured the boys got home safely with 7 overs to spare. Roger Laffrey’s unbeaten effort continued his recent hot streak, now averaging 165 for the season. 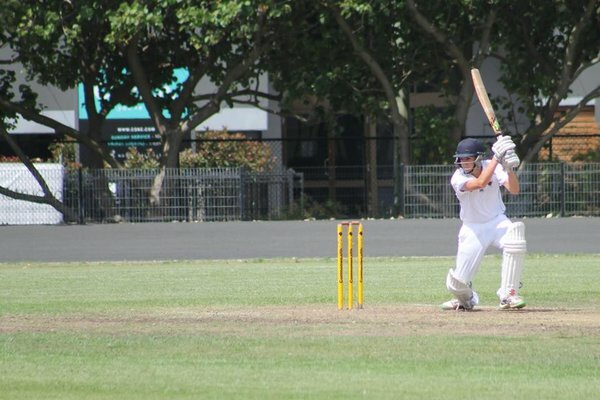 In the grades, some notable performers included Nathan Robins (33 and 2/26) who managed to help 1st grade back from the brink at 5/10 to reach 127 and have the game in the balance at the end of play with Merewether starting next week at 5/67. Piers Robinson picked up 3 wickets in an impressive return from injury in 2nd grade and Hassan Ali picked up 2 crucial wickets in 4th grade to have Merewether 2/5 at the end of the day chasing 162.